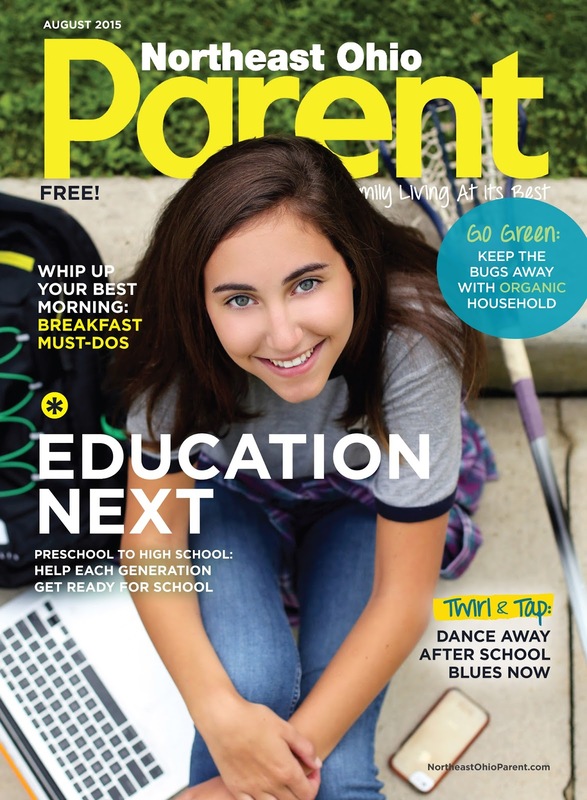 It was such an honor to be asked to shoot the front cover again for the North East Ohio Parent Magazine! It's such a fun process. First you talk about the vision with the editor and designer, and this time I got to meet with the publisher at the time of the session, then you take a ton of photos, and then you wait to see which photo they choose, and how it will all come together. I have to admit, when I grabbed this shot of our beautiful subject, I knew this was going to be the image they would put on the front cover. What a great opportunity this has been.